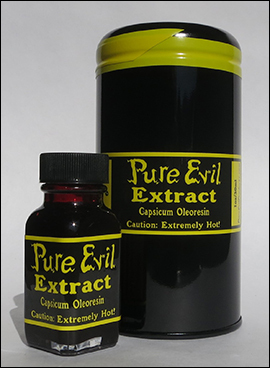 Chile pepper extract, also known as oleoresin, is made from chiles using an extraction process. 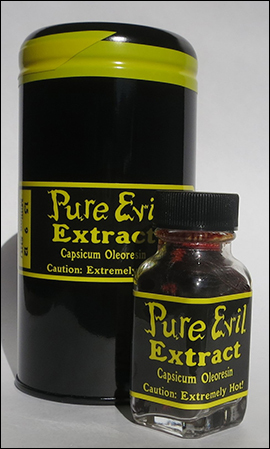 The extracts have a noticeable chile odor and distinctive flavor. 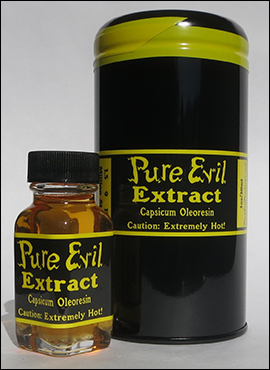 The 9mil SHU and 12mil SHU extracts are very thick and need to be warmed up to make them easier to use.